Yeah, it's true. All of it. 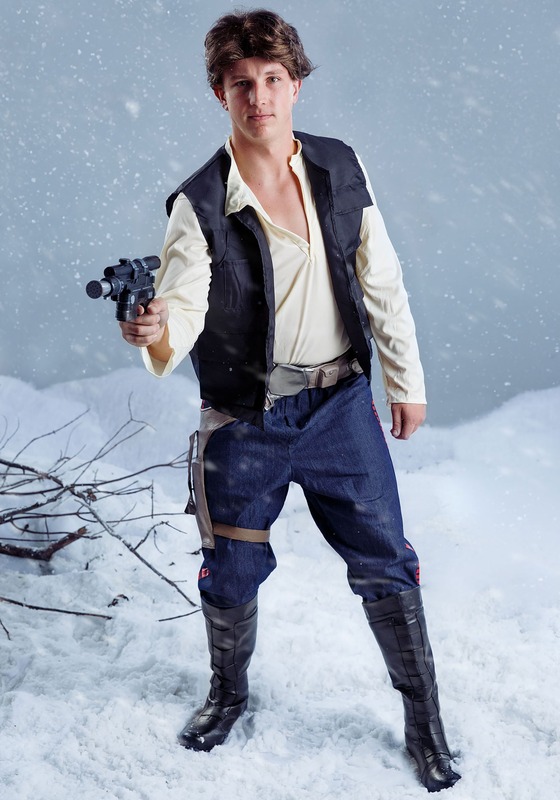 You got yourself an authentic Han Solo costume, and your life was never the same. You got the opportunity to take out slimy bounty hunters in backwater cantinas, to help your buddy defeat the evil Empire, and you even got to win the heart of a swell looking princess. Yeah, getting this Grand Heritage costume will probably go down as the best decision you've ever made. 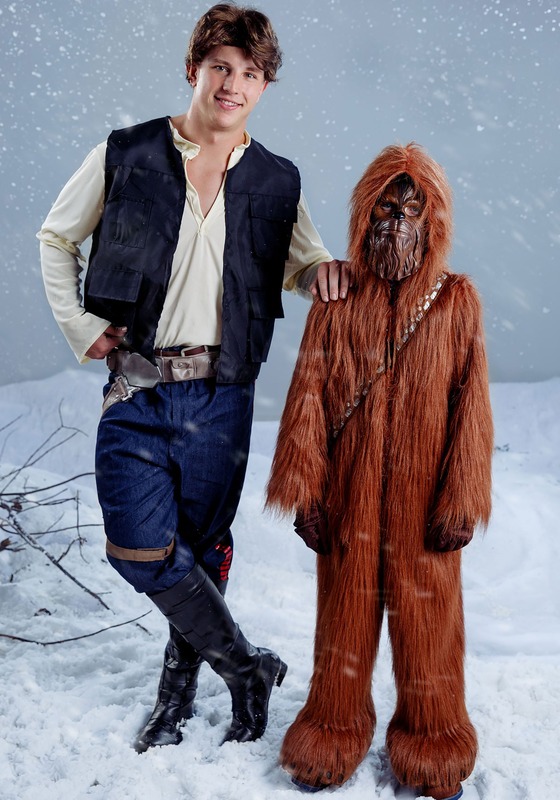 If you've ever wanted to step into the shoes of Han Solo, the most infamous smuggler in the galaxy, the intricate detail on this screen worthy replica will have you feeling ready to board the Millennium Falcon. This elite costume has all of the bells and whistles that you would expect from a supreme edition costume. Styled after actor Harrison Ford's costume in Star Wars: A New Hope, it has all of the nitty gritty details that will let you become the ultimate space cowboy. The collared v-neck shirt features 3/4 length sleeves, and looks perfect underneath the pocketed vest. The pants features the tuxedo style red segmented stripes down the side just like his original costume. 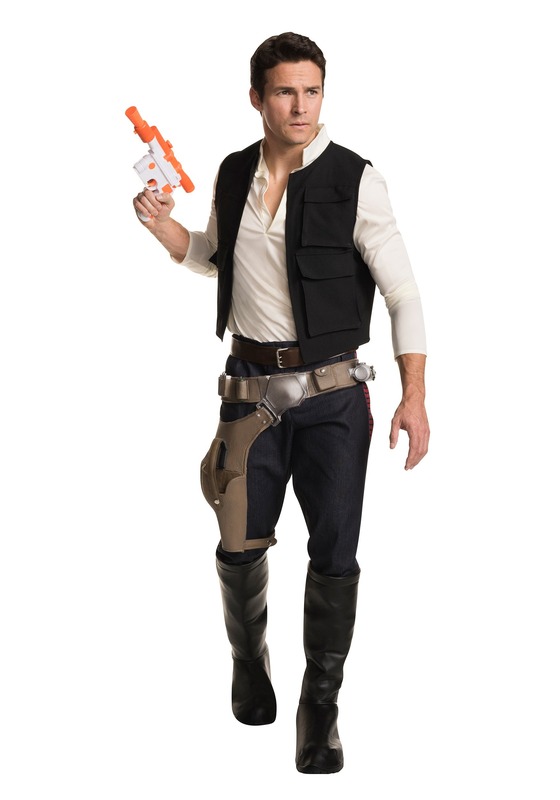 A detailed leg holster gun belt will hold your prop Star Wars blaster (sold separately), and even comes with attached "greeblie" details to complete the authentic Star Wars look. 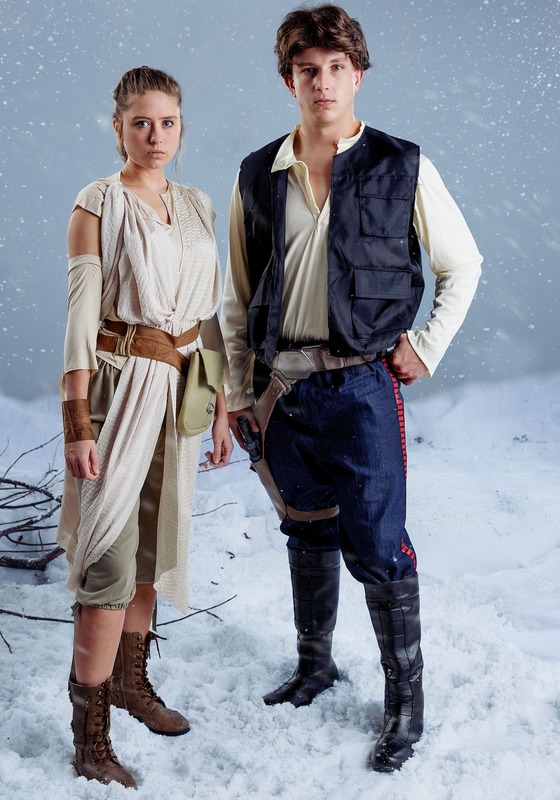 When you've got this Grand Heritage costume, you're sure to be ready for all of the action in a galaxy far, far away. And whether you've got a seat saved in the Millennium Falcon or you're just getting ready make lightspeed down the highway on the way to the Comic Con, this style is going to have you covered. Punch it, Chewie!